So my problem is that I am a registered business in the EU (with valid EU vat number), so I pay freelancers using my business PayPal account, so I need a valid invoice from the freelancer. But how could be a valid invoice which doesn't even contain the issuer's full address, just a name? Then how can I prove to local tax authorities that I hired a freelancer outside the EU, and not a local employee from my home country? Because if I pay money to a freelancer who is located in my country, and he/she is not a registered sole trader, then it is not client-freelancer relationship anymore, but it is called employment, and there are other additional taxes to be paid like social security tax. So by default not even the freelancer's country is displayed on the invoice. There are also VAT problems here: If I hire some locally and he/she is a registered sole trader, then local VAT is payable. But if not even the freelancer's country is display on the invoice, then I don't even know the country of residence of my freelancer. So before hiring there is this unnecessary conversation when I have to explain them why I need their address on the invoice. But why make it optional? I think it is ridicoulus that you don't display the full freelancer's address on the invoices by default, please make it mandatory. I guess it could be a problem even in the US. Let's say a US business client hires a freelancers from the Philippines, and the final invoice only containt the name of the freelancer, then how can this US business prove that they hired a freelancer from the Philippines, and not a local employee from the same US state where the business is registered in? I can confirm your feedback was forwarded to our product team after your recent communication with our Customer Support team on your support ticket. Our team shared all the information we have so unfortunately we don't have additional updates we could provide in our response here. We understand your need and the rationale you shared and appreciate your feedback. In the meantime, please consider communicating with your freelancer on this subject and asking them to consider providing this information on their account. Yes I could finally instruct my freelancer how to fill in the optional invoicing address, but we spent 1 hour on this. The problem is that as I learned, the address of the freelancer is indeed mandatory, but there is a different section called invoicing address, which is optional, so freelancers often don't fill in this section. I think the solution could be to make the invoicing address section mandatory as well (and also verify it somehow, because it is important for tax purposes). The problem is that there are those PDF invoices available from the Transaction History, but as I learned if the freelancer or client or Upwork changes their details (name, address), then all the already issued invoices will change as well. Is it even legal to change an already issued invoice? In my country, it is illegal. You cannot edit or alter an already issued invoice at all. You have to issue a totally new invoice with new date, new unique invoice number, reference the old invoice number and change the necessary details. For example I looked at the old invoices I received from oDesk, and when I downloaded them a few years earlied, the company name was oDesk on them, but now if I download those old invoice, I see Upwork instead of oDesk on them in the PDF. I know that oDesk was renamed to Upwork, however I think it is not OK to alter invoices which are years old. Those invoices were issued by oDesk, not by UpWork. So as a business client, I have to download and save the invoices and keep them for like 10 years for tax purposes. If you change the invoices after I downloaded them and after my accountant already archived them for tax purposes, then it will be obviously a problem I think. So now which is the valid invoice: the PDF invoice I saved locally to my computer and gave to my accountant, or the invoice which is on the Upwork server? Please please please absolutely do NOT change at all an invoice which was already issued. This is a huge problem in most countries. Maybe in the US you can do that (I doubt it), but Upwork is an international platform. Please do not change the invoices retrospectively. Thanks for sharing your insight and suggestion Bence. We've shared your feedback with the team but I can confirm that we don't anticipate any changes to the invoicing address info becoming mandatory for the time being and advise clients to communicate with their freelancers directly about the invoicing requirement. Why does UW even offer that the invoice address is optional? 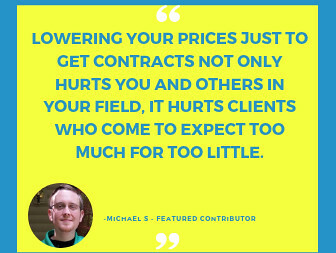 I think, most clients would not even consider the issue until they are facing problems. I think it might be helpful if the clients get a notification before hiring if the invoice provided will be without the freelancers address. I agree with what was said above. Invoicing address should be mandatory so the invoices issued by Upwork can be used in the accounting. What is with the issue that all past invoices are being changed by the system? I just moved into a new office this month and updated the address. Now my new address is all over last years invoices. This can be a big issue for freelancers moving between different countries during that time. Because this is a bug in the system, and Upwork confirmed that they will not change this, so don't use the Upwork invoices at all. 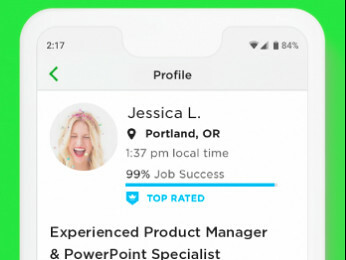 Upwork isn't a platform primarily designed for professionals. Write all your invoices and stuff on your own, Upwork won't provide you with something suitable for European standards. As a freelancer I have to do the same. You should get in contact with your tax consultant. 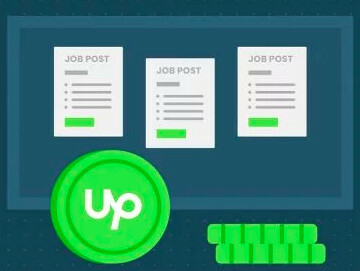 I think there is some relevance to the fact that you are not transfering the money to the client, but to Upwork, since Upwork is automatically creating different invoices to the freelancer.